Ciena is expanding its multi-terabit packet-optical switching platform family with the release of the 5410. The latest platform is designed to help networks scale while minimizing costs as your customers consume and demand ever-greater volumes of traffic. Ensure you’re able to meet demand and exceed calls thanks to a 5 TB/s switch capacity in a single bay. The Ciena CN 5410 includes the company’s FlexiPort technology to assist with SONET/SDH, OTN and Ethernet switching in a variety of programmable interfaces. 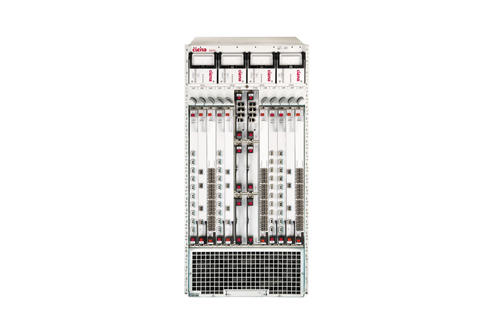 Perhaps the biggest news with the Ciena CN 5410 is its metro and core network design to deliver speeds ranging from 155M to 200G while remaining energy efficient. The newly released Ciena CN 5410 has few used or refurbished models available, but Worldwide Supply will work with you to look for options as well as parts and support when you need it at an affordable rate. We’ve seen customers adopt Ciena CN 5410s because of their ability to automate labor-intensive operations like inventory management, topology, planning and provisioning with special features such as its high-availability focused FastMesh algorithms. Adding a Ciena CN 5410 to your network will give you access to a full-featured 5 TB/s switch matrix and I/O modules supporting up to 500 GB/s per slot. Boost your offering with reliable transport, flexible and dynamic routing, redundancy options and the capability to consolidate SONET/SDH, OTN and Ethernet/MPLS networks. Secure the strength you need for a 21st century network.